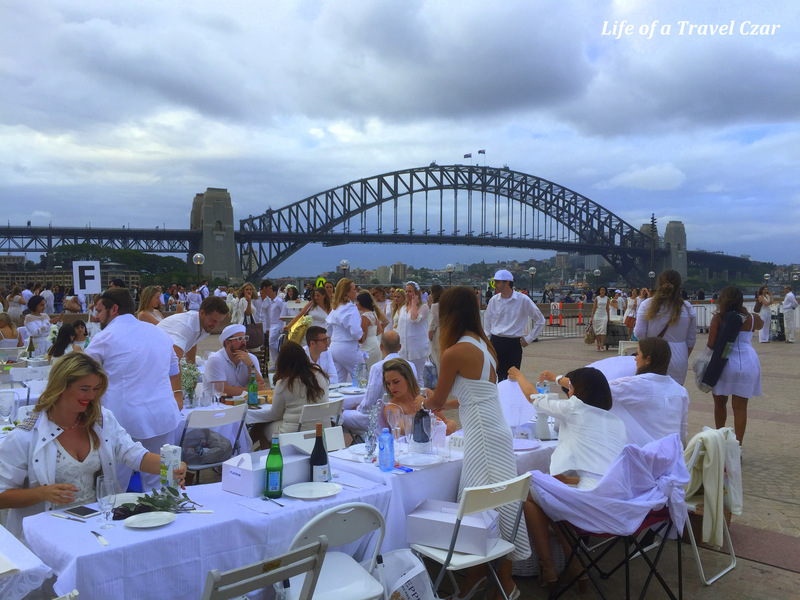 So I am attending Dîner en Blanc (2015) in Sydney and have been eagerly waiting for the day for months! 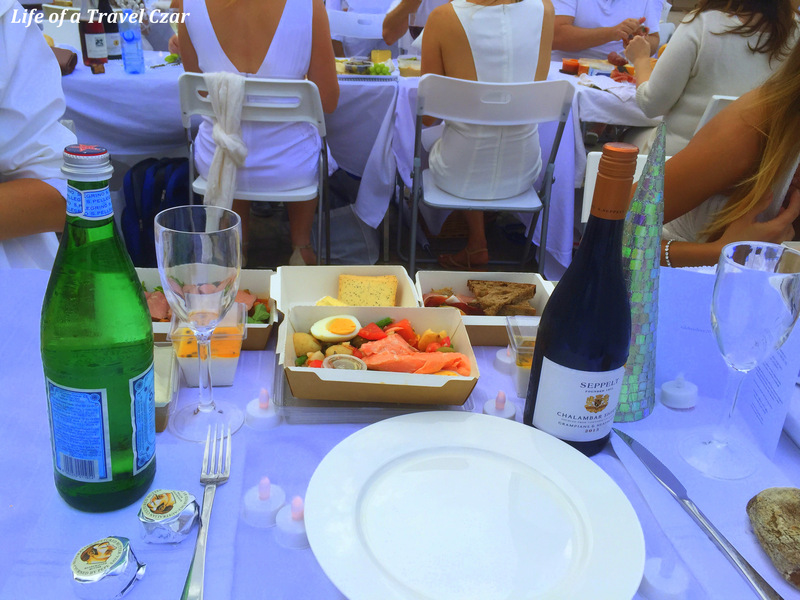 Dîner en Blanc is a chic stylish picnic in a gorgeous public location, where the location is kept a secret until the day of the event. 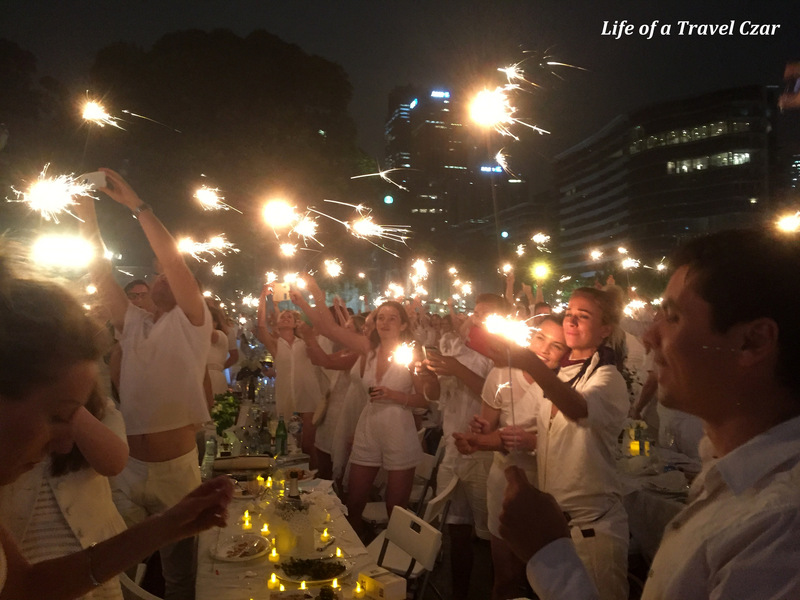 Thousands of attendees flock from all over the city to Dîner en Blanc’s secret dinner location on this beautiful Saturday. 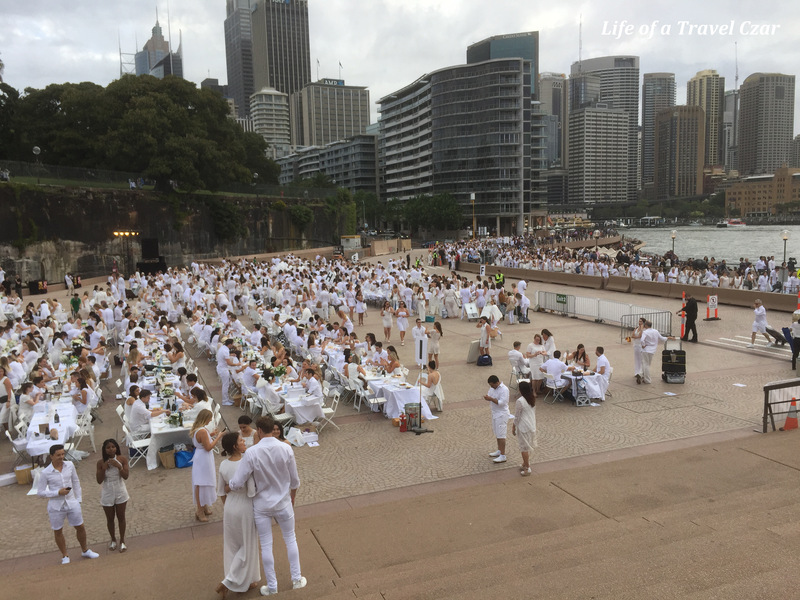 Everyone is dressed all in white (and looking very stylish indeed) and bring along their own tables, chairs, cutlery and table settings (as you would for a giant picnic). 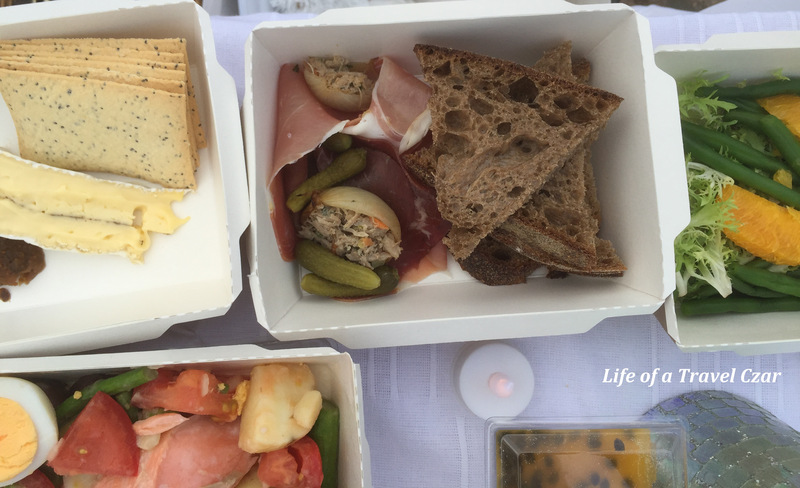 You can bring your own food or purchase it through their selected caterer… Matt Moran from Aria Restaurant did the catering this year. 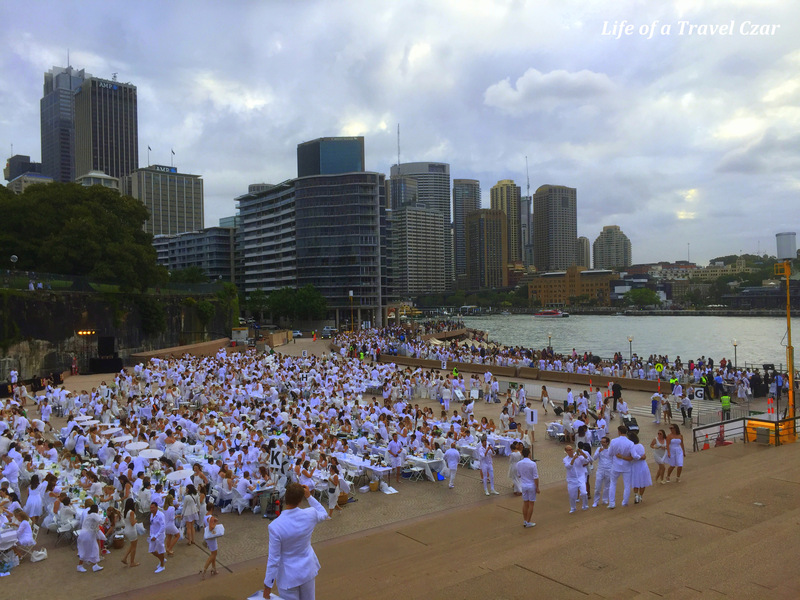 This year’s location is on the steps of Sydney Opera House… couldn’t think of a better location to showcase the best that Sydney has to offer…. 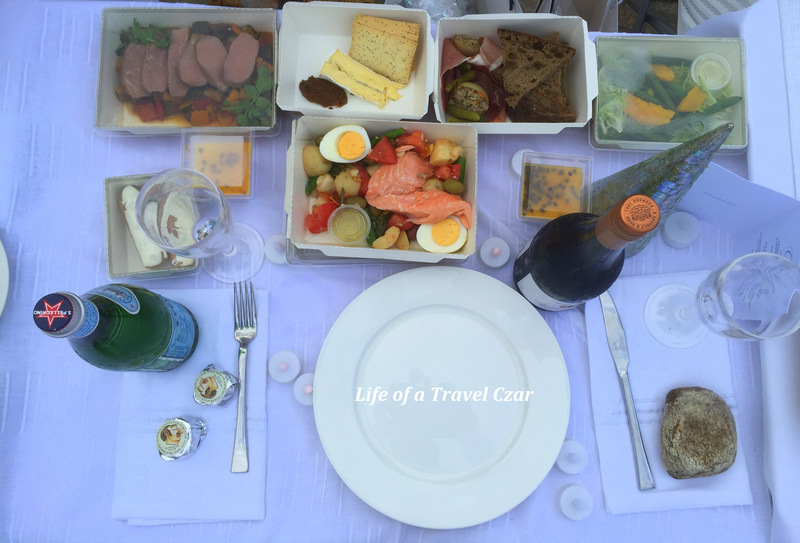 Here are my thoughts on some of the dishes…. 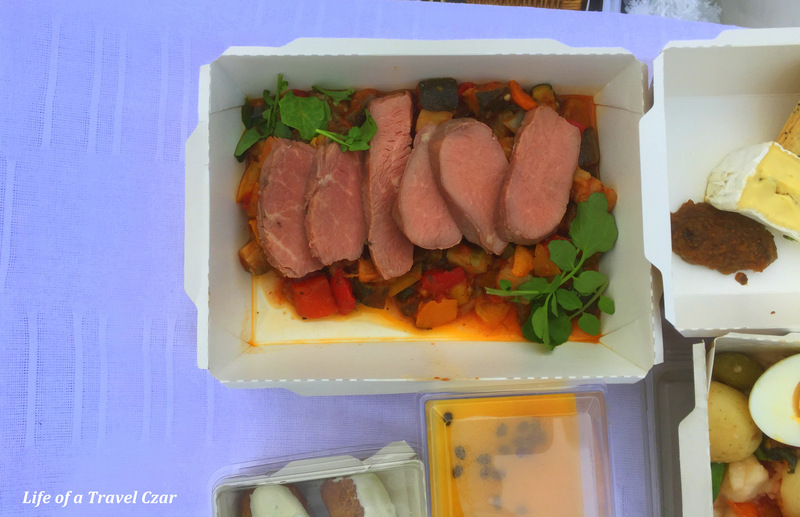 The lamb is beautifully tender and succulent with its distinct sweet flavour (and amazingly good retention of the flavoursome juices) and pairs perfectly well with the rustic Mediterranean zing of the Ratatouille. 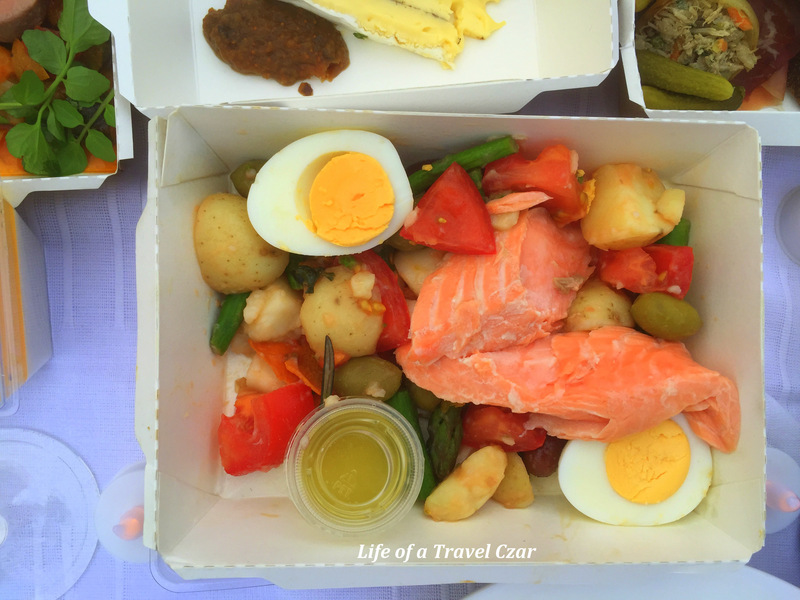 The rich flavours of the olives, the crumbly textured egg yolk, fresh tomatoes and crunchy asparagus provide a wonderful array of flavours and textures which just dance around the trout, which itself clothed with its beautiful oily sensual flavours and flaky texture dazzles the taste buds. The duck rillettes provide a highlight of that dish and the sourdough is oh so good with the pepe saya butter. I do sample the Wagyu Bresaola and it does have some rich minerally streaky flavours which characterise the Wagyu Bresaola. I pass on the Jamon Serrano. The Fromager D’affinois (left) is a pure sensation. 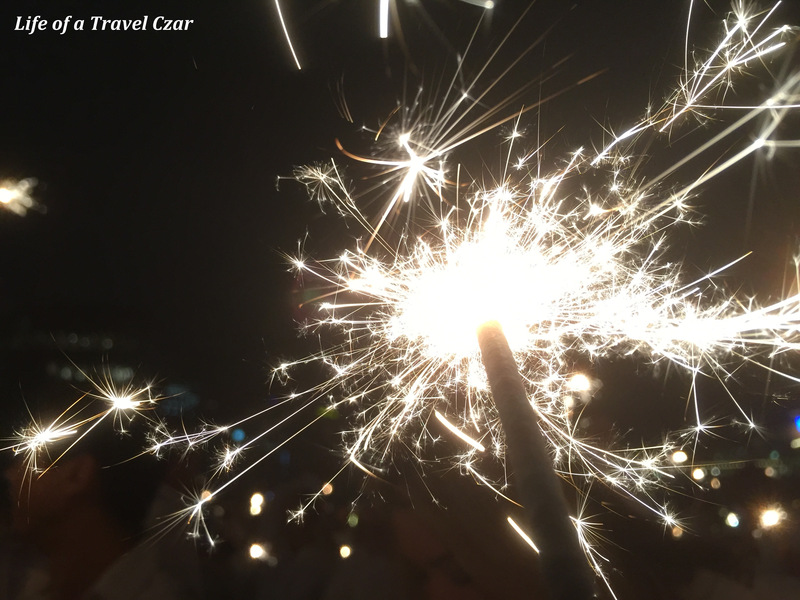 The soft creamy texture oozes onto the crisp lavosh and is joined shortly after by the sparkle sweetness of the fig jam. The richness and buttery flavour of the Fromager D’affinois is a treat when washed down by the Shiraz. The wafts of blackberries, dark plum with a mild hint of pepper notes flow through to gently dazzle the senses and providing a wonderful introduction to the wine. The wine has the lush flavours of blackberries, light liquorice and dark plums with the bite of cedar and peppery notes in the finish which is matched with some beautiful dry tannins provide a lovely mouthfeel as the wine signs off on the palate. These Salted Caramel Éclairs are a real treat indeed. 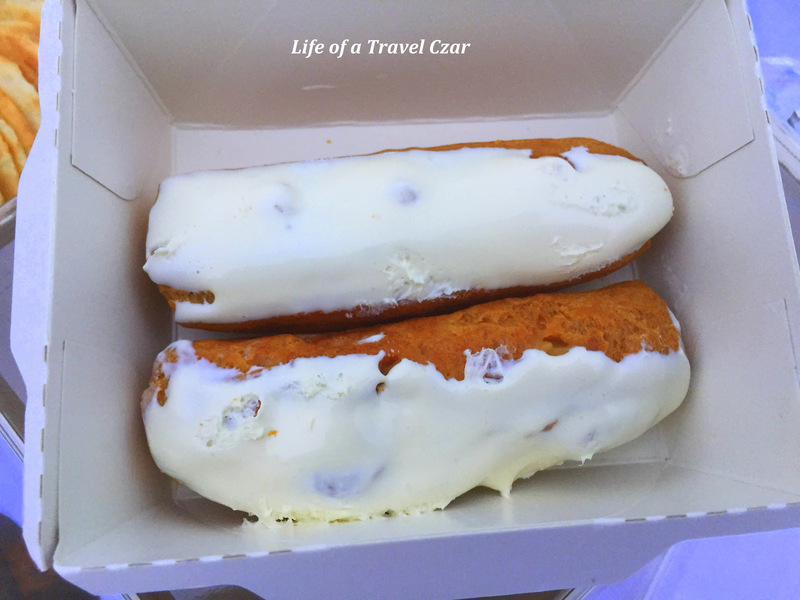 The light fluffy pastry is like tasting a cloud, while the sweetness of the icing is balanced by rich minerally salt hit in the caramel. 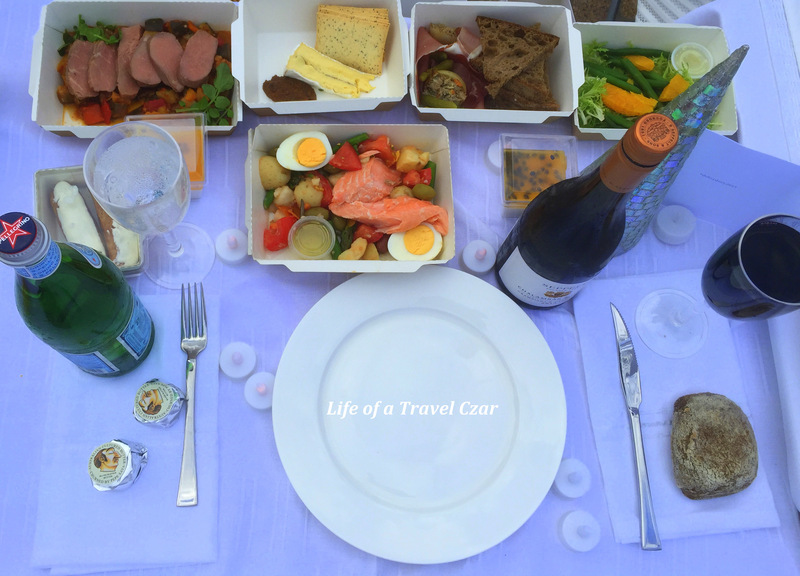 The picnic spread and wine are such a treat and prove to be a wonderful dining experience with amazing company to match! 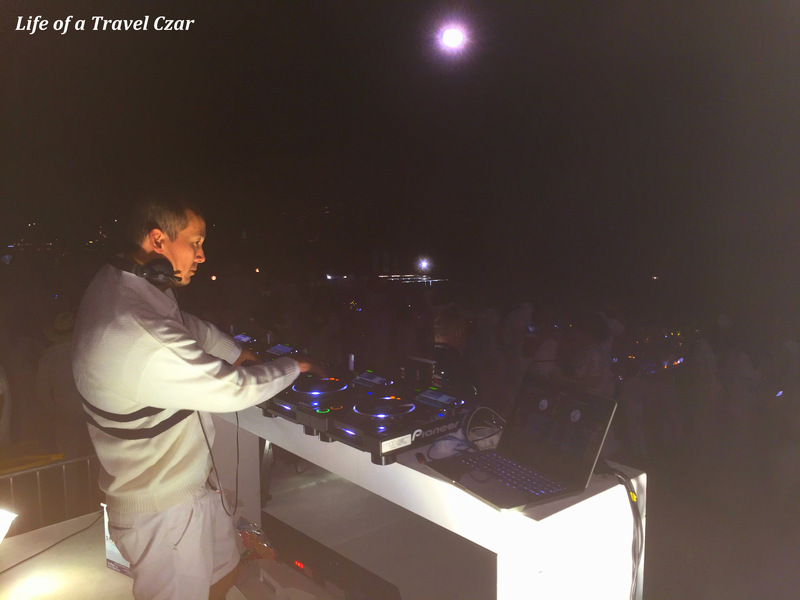 Then its party time… a solid DJ provides the perfect tunes to let us dance the night away! We run into a friend of mine and she happens to know the DJ, so we pop up to Hi. 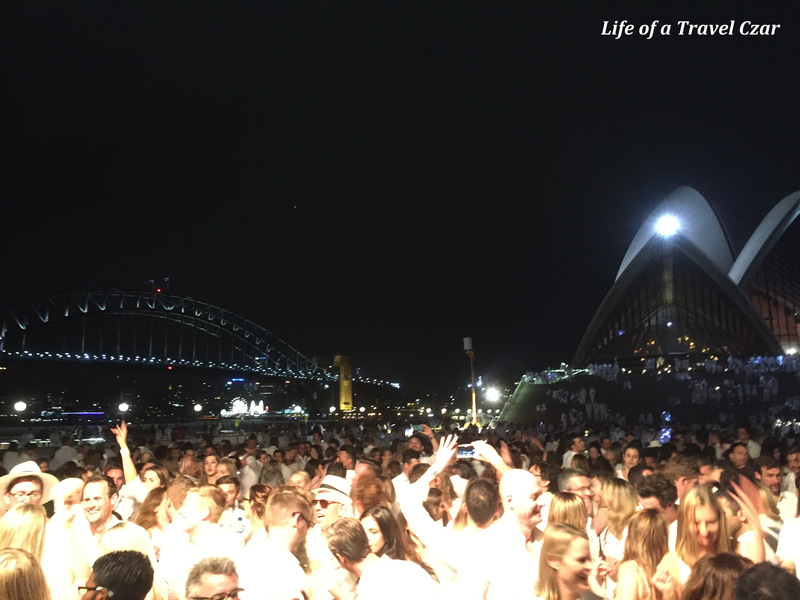 Eventually we all pack up and head-off until next year! 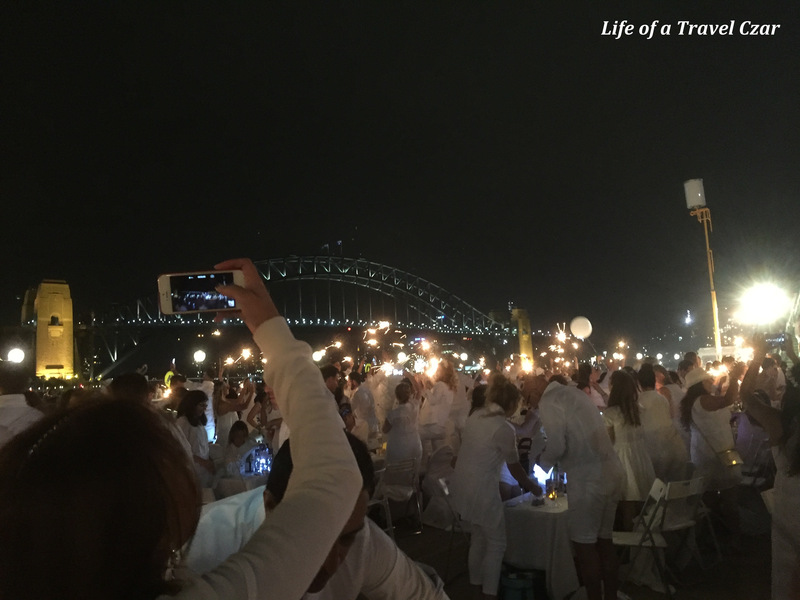 It was such a beautiful night and a huge thank you to the hosts of Diner en Blanc – Sydney for organising such a great event. 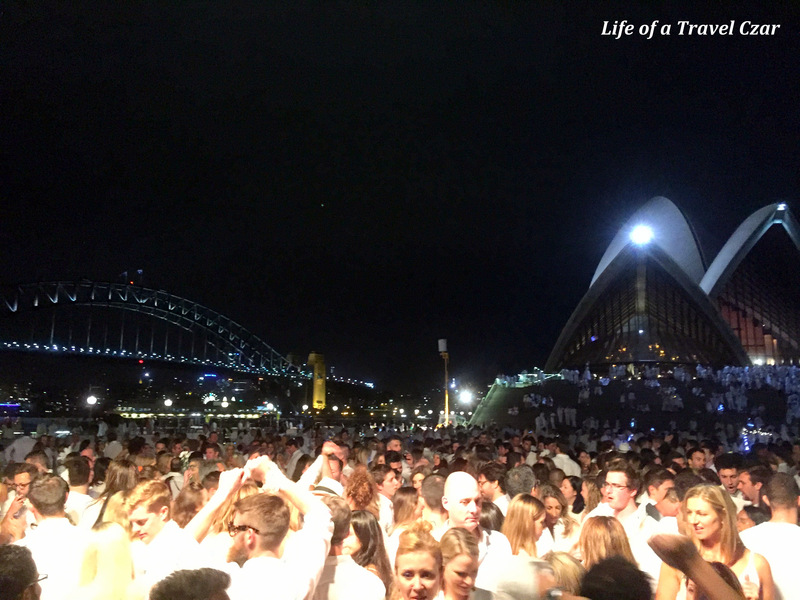 Sydney is such a beautiful city.